Welcome Manatee & Sarasota high school students! If you are a "Dual Enrolled" (or DE) student, this site is for you. Check out all the library resources available for DE students by scrolling down or using the menu above, and ask us if you have any questions! The SCF Librarians collaborate with the high school Media Specialists to help our DE students! 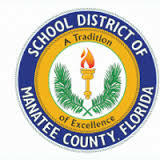 The following PDF contains information about how the SCF Libraries collaborate with the Manatee County Media Specialists. You are College Students now! Dual Enrolled students are regular students who are taking SCF courses at their high schools. They are entitled to the same privileges as on-campus students. Dual Enrolled students can visit the Bradenton or Venice Libraries and the Lakewood Ranch Learning Commons, call any of our libraries, or use the "Ask a Librarian" text or chat services for help. To borrow any books or materials from the SCF Libraries, Dual Enrolled students need to come to the libraries. We do not deliver materials to the high schools. A photo ID and the student's SCF ID number (called G-number because it begins with the letter G and two zeroes) is required to check items out. *NOTE: During the Fall semester, there is often a delay adding high school students to the Library system. The Library is dependent upon your high school paperwork being added into the College system. If you need to check your status, please contact Early College [941-752-5422].